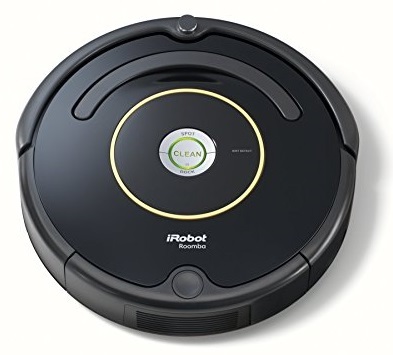 With Black Friday sales in full swing I ended up grabbing a Roomba 614 on sale for $249 at Canadian Tire. This was an impulse buy, as I had never seen a Roomba that cheap before. I’ve had a Roomba 530 since July 2010, that’s currently a little over 7 years. In those seven years I have replaced the battery twice and upgraded the dust bin to the new AeroVac bin. When I openned up the box to my new 614 I was shocked at how little had changed in 7 years. This one came with the new AeroVac bin but beyond that not much else had changed. There was the minor addition of a handle on the top, and some changes to the gear box (I’m hoping it’s enclosed, but I am not sure yet and don’t want to tear it apart just yet). Other than that this one comes with a Lithium Ion battery instead of NiMH but I’ve been buying Lithium Ion batteries for my old one as well. So am I disappointed by this? Heck no! The 530 was a work horse and has run anywhere from once to three times a week for seven years and it’s still going strong. I am hoping they have only improved upon that! The only complaints I have so far are that it came with no virtual walls (unlike the 530S) and the side charging port is gone meaning I can only charge from the dock. I’ll keep it at that for now, as I am still doing the initial charge. But like I did with my Roomba 530S I will keep updating you all with the performance of this Roomba.